I spent the early hours of last night watching this event live (on facebook) from Limerick in Ireland. The concluding speech by the chief guest - Lord Nazir of Kalyaal and Rotherham - made me livid and unwilling to further tolerate lies in favour of an occupier by a public official, more so by a member of the British House of Lords propagandising on behalf of Pakistan. I'm sure he has done a lot of good work in his life but deceiving the AJK diaspora to cover the crimes of Pakistan can no longer be tolerated. Lord Nazir's bullyish behaviour towards Shams Rehman in particular and his lousy propaganda in favour of Pakistani occupation in Jammu & Kashmir in general, needs to be addressed in the context of freedom of speech in AJK and GB, global counter-terrorism strategies and the battle of public narratives vying for authority in these fiercely contested spaces. 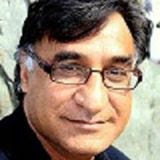 We are taught to hide our own frailties to pretend a facade of Muslim unity driven by the Pakistani military, which is going to wrestle the Valley of Kashmir from India in favour of Pakistan. We are taught that the international community will finally be ashamed into action to address Indian human rights violations in the Valley. This will enable Pakistan to emerge as victors...even though Pakistan may run itself into the ground in the process. Its a convenient narrative except that it hasn’t worked so far, it involves the suppression of other views – especially those that want a genuine internal local narrative to emerge – and more seriously involves citizens of the Valley losing their lives at frequent intervals. Peddling propaganda as Lord Nazir does is criminal. Isn't it odd that both countries have a convenient alibi in the other to justify their presence here? Pakistani infiltration and Indian suppression cannot exist without the other. Both describe the other as barbaric terrorists. Who does the world listen to? When a cycle repeats itself, decade after deacde..familiar patterns should emerge. Unless you're blind, ignorant or profiting from conflict. A negative of India does not necessarily mean a plus for Pakistan just as a Pakistani plus does not necessarily mean a negative for India. Both countries are bound into agreements which - at each point in our 71 year old shared history - provide evidence of collusion between India and Pakistan at the cost of the citizens of Jammu & Kashmir. Any violation of human rights that India commits, Pakistan does the same if not worse, given similar circumstances. Does anybody know the history of ‘armed struggle’ within AJK? Yes, the Indians do kill peaceful protestors but the Pakistanis do too. Has anyone heard of Naeem Bhat and what happened to him on the 16th of March 2018? On a personal level, I can no longer tolerate falsehood which directly impacts our lives here in AJK. How can Shams Rehman be "mixing things up about the occupier/s," according to Lord Nazir: when the former has conducted over 30 years of independent research, mostly without remuneration. 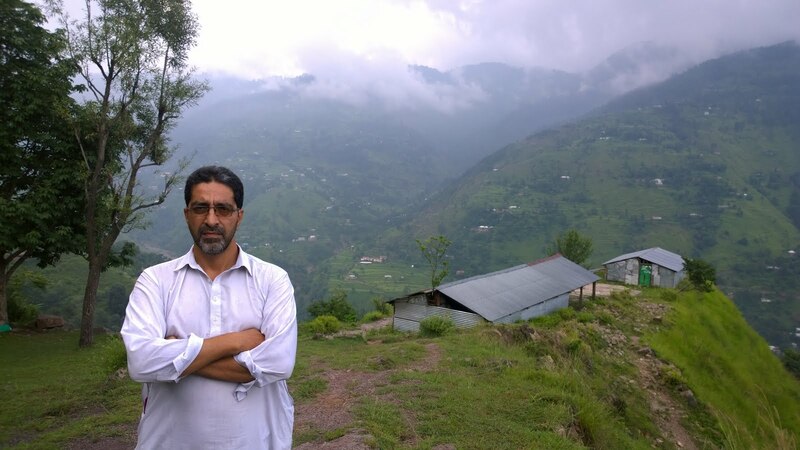 As for the Lord of Kalyaal, he has handsomely gelled business with politics over the decades - and who may not have much time to research, let alone spend a reasonable amount of time in AJK – yet he has so much bullish clarity about who the occupier is? We must peacefully assert the freedom to express our ideas. Even though they may not reflect the interests of China, India and Pakistan as they perceive them. Most of all, we want respite from the shedding of the innocent blood of the citizens of Jammu & Kashmir. - We’ve had 71 years of dysfunctionality and dystopia. - We don’t want to be force-fed ideas anymore. How all 3 countries manage water is going to incite further conflict if our local, indigenous ‘riyasati’ narrative is not allowed to bloom on its own soil.